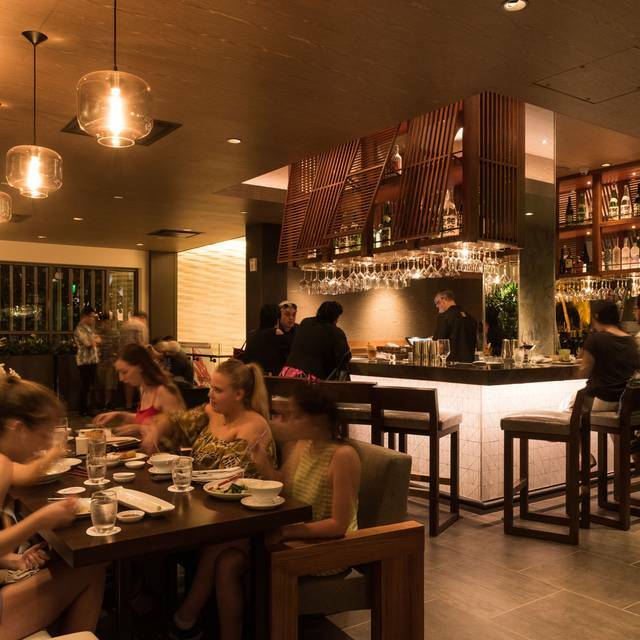 You must make reservations at least 5 minutes in advance of the time at Morimoto Asia - Waikiki. 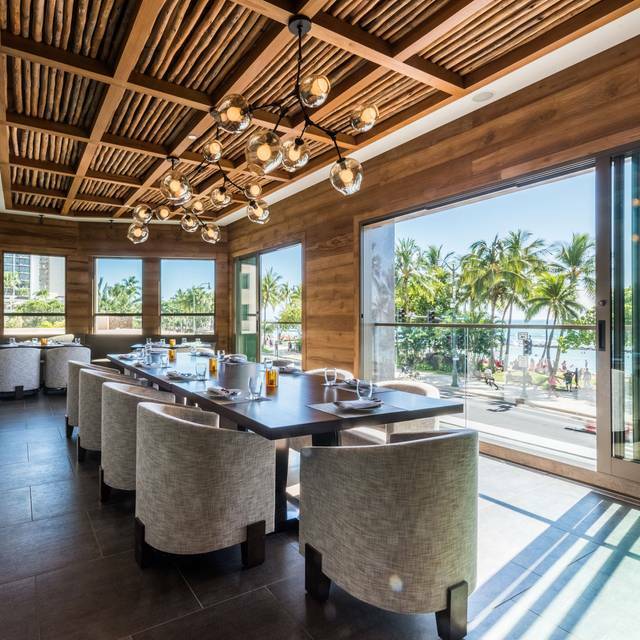 Liliuokalani Ave. &amp; Kalakaua Ave.
Morimoto Asia Waikiki features stunning views of Waikiki Beach and offers private dining areas that hosts parties of various sizes. 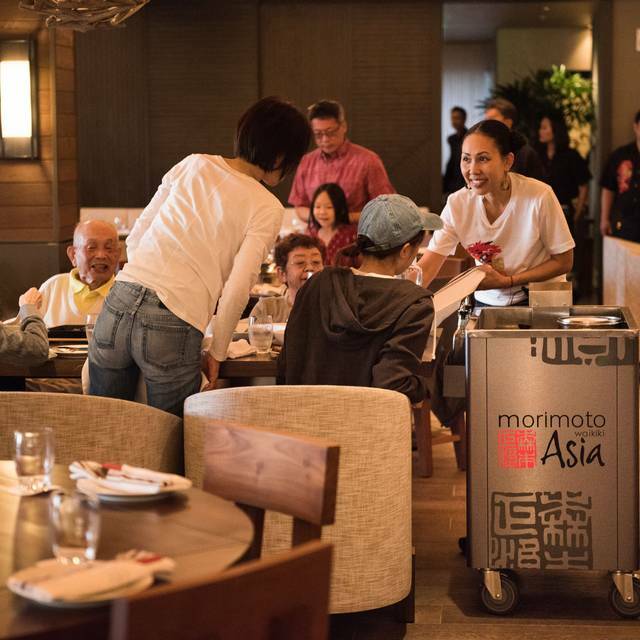 Please email us at info@morimotoasiawaikiki.com for special inquiries and questions. 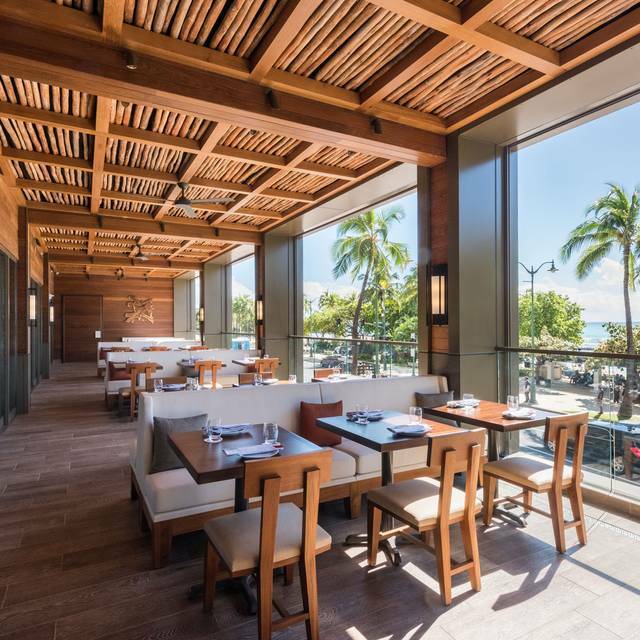 Morimoto Asia Located across from Waikiki beach is a sought-after choice for dinner on Kalakaua ave. Iron Chef Morimoto’s world-renowned cuisine makes our dining destination one of the best restaurants in Hawaii. With his vision and creativity, the menu integrates traditional Asian and Western ingredients, delivering specialty items such as Peking duck, sticky ribs, Korean kalbi, dim sum and traditional wok fry dishes. 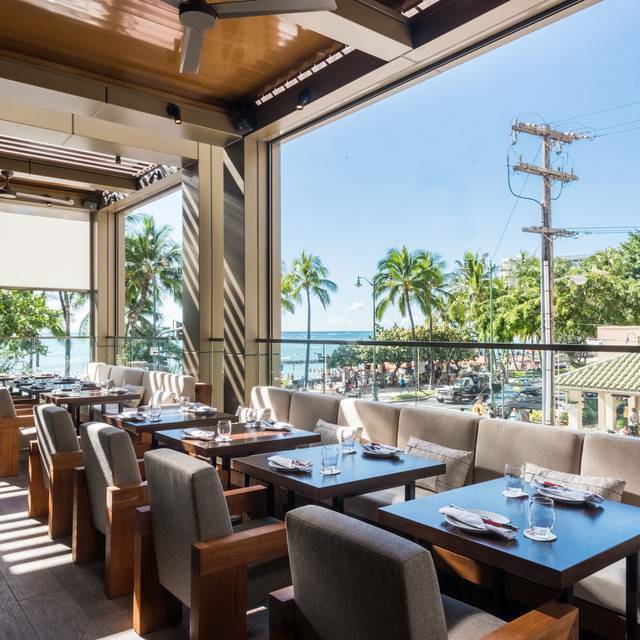 When looking for Japanese food, Waikiki has a wide selection, however no other Honolulu restaurants surpass Morimoto Asia. 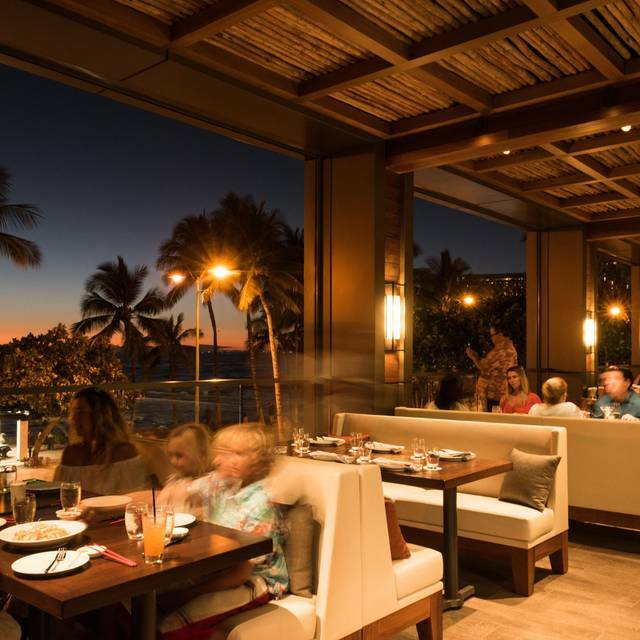 From its incomparable venue to its superlative service and inventive cuisine, our signature restaurant provides a distinctly memorable dining experience. The whole experience was fantastic. The food was fresh, creative and delicious. Highly recommend the dim sum sampler and the black eyed cod. Both were cooked to perfection. Leave room for dessert as the chocolate sphere is a must! A lovely spot above the fray in Waikiki. Food was delicious and the service excellent. Had a selection of dishes that we shared, my favorite was the Singapore curry noodles! All the sushi is excellent have tried nearly everything on the menu during our many visits over the past few years. You also can’t go wrong with dessert, last night we had a chocolate sphere which is quite a show as they melt the sphere with a lit pouring sauce. However all the sorbets are very delicious too. A lovely restaurant with great service and good value for money. We had a lovely dinner. Delicious food and great service. service was very fast> portions are mid size and likely favor multiple course dinning. The garlic shrimp were succulent, sweet garlic not overwhelming. The shrimp in shell make for messy eating! This is not a garnished dish so rice to soak the flavorful broth must be ordered as a side ( I feel this should be included with the dish). The pork dumplings we also good but came undone as they stuck to the bottom of the small cast iron serving pan. I would go back for the ambiance and to try other menu items. Food quality is so so as it is mixed with all kind food. Just not right. . The food was delicious. The service was outstanding. We sat outside and the view of the ocean was incredible. It was reasonably priced too. I’m definitely returning. We had an excellent meal. My favorites were the squid salad and the duck. I loved the one night stand cocktail it was very refreshing. Our server was friendly and helpful with menu recommendations. The food was great. We especially enjoyed the fried whole fish. The only negative was that the drinks (old fashioned and mule) weren’t that great. They weren’t bad, but not the best that we’ve had. The overall dining experience was excellent, and my wife and I very much enjoyed our dinner here celebrating our anniversary. Michael and the floor Manager was really helpful and checks on us from time to time. Our server, Kristen was the best server. Very personable and knowledgeable. We tried all items that she recommended and everything was a 10/10. Outstanding customer service. Overall GREAT experience! Our waiter Christopher was the highlight of the night. He was sweet, engaging and attentive. The other waitstaff were also very attentive. The food was delicious and well portioned, although I wouldn’t mind a little more in the buri bop for $32. Overall a fantastic evening for our anniversary. Yes m you! We enjoyed a quiet corner table as requested. The service was exceptional. We loved everything we ordered. Chef Morimoto should be embarrassed by this location! We thought we were coming to taste iron chef quality cuisine, and had high expectations. We enthusiastically ordered 3 appetizers and two mains between two people, and splurged on the most expensive items expecting it to wow us. What we received, steam buns with barely any meat or flavour mostly dough, tacos that were a confusing mix of Mexican flavours with black olives and guacamole, dry pork belly on a bed of raw uninspired cabbage. The $68 ribeye came out so over cooked (even after specifically asking them to cook it as rare as possible) and with no side ingredients to speak of. My black cod was cooked nicely but had a sweet honey that wasn’t balanced with any other flavours. In the middle of our meal the waiter brought over the hot towel service which is meant to be at the beginning (we noted others receiving this at the appropriate timing) after being asked he didn’t offer any helpful suggestions on the menu selections. We ended up pouring our own wine, the service was just average at best. This restaurant was a huge let down. In the same area we’d highly recommend Azure for the price point, it was 100 times better on all fronts. Great service. Cool vibe. Outstanding meal. Top notch service and delicious unique flavors. 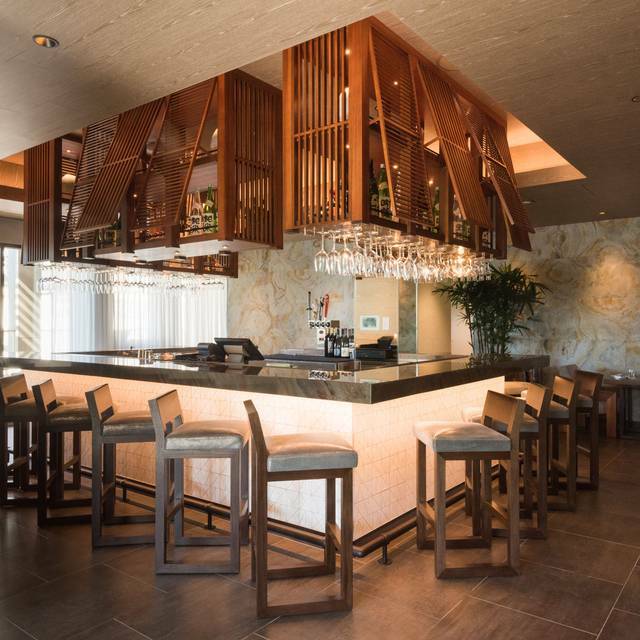 This is one of the reasons one must come here to experience the delicious and flavorful foods that only come from Morimoto. Definitely need to try the chocolate ball dessert. Warning - it is very rich. Would have loved more fruit to go along with it to moderate the otherwise overpowering chocolate flavor. This was my favorite restaurant dinner in over a year and I have been to some amazing places for work over the last year. The duck was fabulous but I think the kitchen is brilliant at seafood--so many perfect dishes (black cod, shrimp, hamachi, and kampachi. Amazing! We will definately be back! Son’s 23rd birthday and it was his choice of Restaurant. Although it would have been nice to be seated along the bench seating, or on the patio, the great service and food made up for it. Now knowing the layout of the restaurant will allow me to request better seating when we have another $360 to spend on 3 people. 😝. We will definitely be back for the tuna pizza!!! I was really hoping I would like this place more than I did. 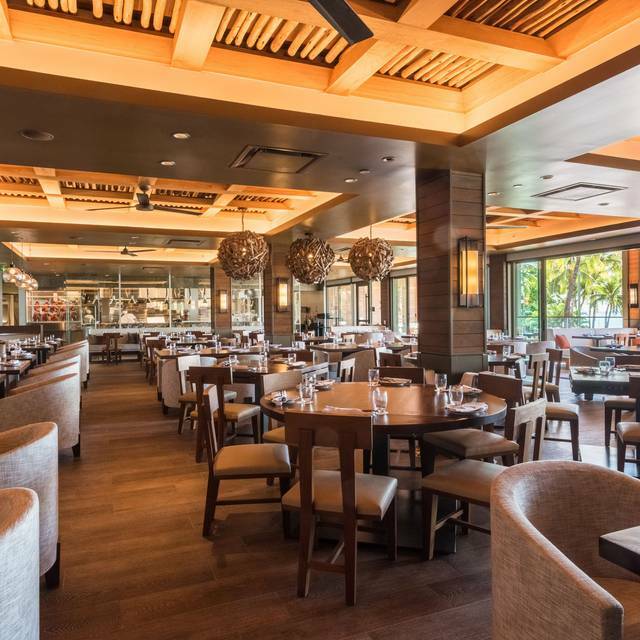 I’ve eaten at Morimoto’s other restaurant when it was at the Modern over by the Ilikai. The service and food were excellent over there. This place, although pricey, was just ok. I definitely wouldn’t rush back. I’ll go thru Pros and Cons but let me start by saying, if you’re a hamachi lover like me, don’t order anything with hamachi here. The fish was horrible. Tasted like old fish. If I were a chef, I would be embarrassed to serve something like that. If it were supposed to taste like bad hamachi, they should put that on the menu so you know what to expect. - They validate parking, even the valet parking. - They use OpenTable. A real convenience and I guess because we went early and on a weeknight, I earned 1,000 points for this seating. Yay! - service was awesome before the restaurant got busy. After that, it was just ok.
- we got a table with an amazing sunset view. We were given the option of sitting outside or inside. - the sticky ribs were really good. Super tender. It came with three ribs, which sounded little but it really look decent sized. It is very fatty. So if you don’t like a lot of fat on your bone, you won’t like this. But we thought this was the best dish we ordered. It is also one of their popular items. - our two seater table ended up being really close to other diners. We were seated on the lanai at our request but right next to the sliding glass door. The table inside the door was right up against the sliding door. And the door was open, so it felt like I was sharing a table with them. At first the tables on the other side were empty so it was nice. But then they split that four seater up into two-2 seaters and wow, then that party was close to us. Close enough where the waitress when taking their orders had her back pretty close to our table. - service was great until the restraint filled up. Not enough room to write a complete review. Very cool restaurant with amazing food. Variety of different dishes and flavours. Shrimp and Gyzoa were the best. Would definitely go back if in Waikiki again and would recommend to others. Service was also excellent, probably best we had in Waikiki. We were lucky enough to get a balcony set which was a perfect setting looking out over the beach. The service was outstanding! Minus the hair that found in my Miso soup, the food and drinks were great!!!! Excellent food. Great service. Would not think twice to go back. There roasted duck dish scrumptious. There chocolate sphere to die for. This is an unforgettable experience that a foodie would need to try. Excellent food and service. If you were interested in watching the chefs and the expediter work , ask for a table next to the kitchen windows. It's pretty much a foodie's ballet. Sorry. I really wanted to like this place. I was super excited to eat here. It was not good. Stayed at the Alohilani for a staycation. 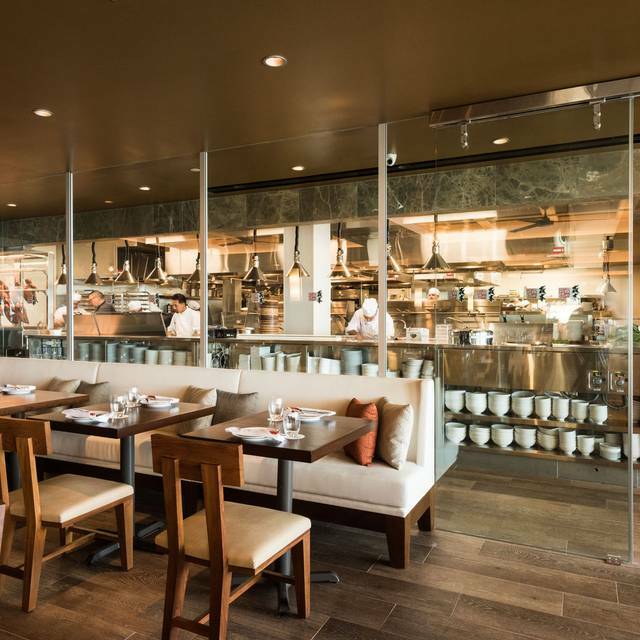 We’ve been to Morimoto’s 3x and it doesn’t disappoint. We ordered the whole fish, sushi, kung pao chicken, pad thai. The whole fish was excellent!! Really enjoyed it. The service us always good and the restaurant is lovely. A little pricey for what we got but a great environment! We went for a celebration and the sunset. It did not disappoint. The menu was good with many options for the family. Sunset was amazing. Staff was friendly. The food was delicious. Our server was not very attentive or pleasant. He was bland and did not smile. He took 3-5 minutes to even come over and introduce himself. He didn’t explain the food to us. He took 5-10 minutes to bring us our check. My wife and I went for our 30th wedding anniversary and had the best meal in the island. We had outside seating at sunset. It was a perfect dining experience. The service was the best I have ever had. Attentive but not overly so. The food was amazing. I suggest sharing every entry because every food item was very well done and tasty. You will drop some serious $$$$ but it is well worth it. You won't be disappointed ... try the ribs they are amazing. Just an excellent selection, something for everyone. Spectacular flaming chocolate dessert. Excellent sparking wine. This is my favorite spot in Waikiki with a great view of the ocean and sunset.